When working out the mythology, powers, and everything I couldn’t decide at first how the powers and Holidays would work. Were they like mutants in the Marvel Universe where each has it’s own distinct and unique ability but at the same time they are still all humanoids? Was it magical and more related to the supernatural world? Were they immortal-ish like the characters in “Fables?” Do they age at all? Or what? Ultimately I deiced that there are two entities. There are Holidays and Observances. Holidays are more powerful and harder to kill while Observances are like teen-holidays who have yet to truly come into their powers or abilities. There are a lot more distinctions between the two and as we go into Act II (which won’t happen for a few months) we will really delve into the mythos of the “Holiday Wars” universe. 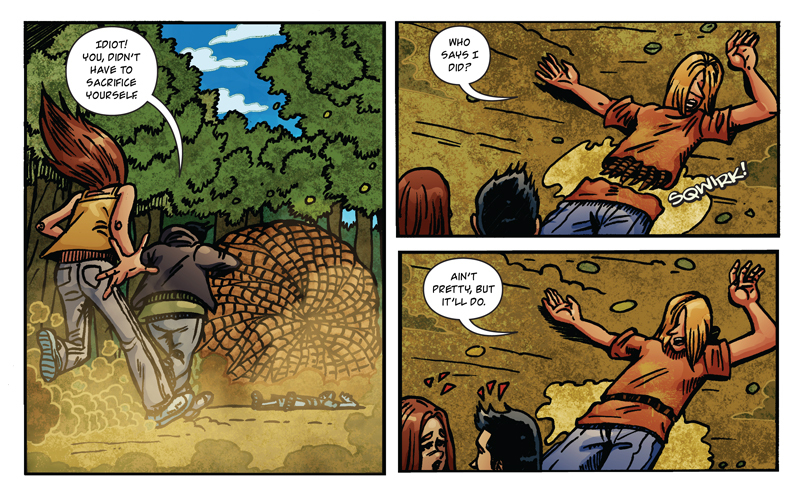 New Vote Incentive: Click below to see a preview of Friday’s episode!